1. Democracies, both new and old, have been facing numerous challenges in the 21st century. Growing populist and authoritarian tendencies, on the one hand, and the abundance of oligarchical symptoms in young democracies, on the other, make the protection of democracy an issue of concern. New communication means enable external influence on democratic processes in a given country. Lately, around the world Kremlin's hybrid threats have been discussed extensively. They threaten national democratic systems. This issue has been a topic of major discussion among Lithuanian politicians and experts, too. However, Lithuania has not yet have a more coherent strategy on strengthening its capacity to ward off such threats. These reflections represent an attempt to bring forward a Lithuanian draft anti-hybrid strategy for broader discussion. (9) Exerting pressure on politicians and influence on public opinion by triggering energy supply disruptions and manipulating energy prices. A recent national security threat assessment by the State Security Department and the Second Investigation Department very convincingly discusses such hybrid threats in 2019, especially in the context of the forthcoming presidential elections. We in our party discussed the hybrid threats of the kind as early as in 2007 and 2014 [1, 2], while the West is only beginning to talk about them now [3, 4, 5]. In the meantime, the Kremlin established a joint military centre for hybrid attacks several years ago. The centre combines all available hybrid tools ranging from the employment of 'little green men' to infusing foreign pro-Kremlin parties and fake-news factories with offshore assets. 3. Although we have experienced a great variety of Kremlins' hybrid warfare since early 1990's , we continue to be poorly prepared to defend ourselves against new attacks. The State Security Department has warned that in 2019 the Kremlin will attempt to exert influence on the elections in Lithuania, particularly on the forthcoming presidential elections. However, unlike in many Western countries, this warning has not yet produced any adequate political response in Lithuania. This makes Lithuania totaly different from the neighbouring Sweden, where all political parties agree on the determination of the executive to resist Kremlin's hybrid attacks during the parliamentary elections to be held this autumn, as well as on particular administrative counter-measures. Germany has enforced a law enabling effective resistance against the massive use of fake news. France is about to follow suit. The United Kingdom has already opened a joint centre for countering hybrid threats and has been setting an example of effective persecution of illegal assets of Russian oligarchs established in 'Londongrad'. The United States also has necessary facilities to persecute the assets of such oligarchs in the same effective fashion as it persecuted illegal funds of ISIS. 4. In the 2019 elections, Lithuania will evidently face a tremendous and effective hybrid attack campaign by the Kremlin and is unprepared to fend it off . We do not have any effective joint anti-hybrid centre. What is more, in the case of hybrid warfare against Lithuania, our special services are only effective making a post factum analysis of what has happened or very abstract warnings. However, they cannot efficiently prevent any hybrid attacks or threats. Neither do we have any efficient scrutiny or control of the funds used by political parties and movements, nor can we successfully trace offshore accounts or movement of funds in and out of them. We have learnt to protect our strategic energy and transport infrastructure from the capital of the Russian-origin but we are unable to protect our strategic democratic institutions, such as the Parliament, the Government or the President, from the same threat. Big businesses, even with huge interest in Russia, can unimpededly make and use political co-branding, and thus big business money has being used to fund the creation of popular public brands, television serials, theatre tours and publication of newspapers. In the run up to elections, the brand created and promoted in this manner easily converts into the political capital of a political party or movement. The Central Electoral Commission, tasked with the supervision and prevention of unfair encroachment on democratic processes, lacks power and public standing and, therefore, it will be apparently unable to bear the heavy responsibility of protecting democracy from external and internal hybrid attacks in 2019. Likewise, we absolutely cannot defend ourselves, using state efforts, against fake news, disinformation, pure lies, and other attacks in the information space, leaving them for the self-defence of individual victims of such attacks. 5. Lithuania must immediately agree on an effective anti-hybrid strategy, intended for strong and wide-ranging protection of democracy, its major processes and institutions. The strategy should be implemented in the coming six months in order to successfully prepare for hybrid threats in 2019. The drafting and implementation of the strategy should be of common concern to all the parliamentary parties, the Government and the President. One must admit that in the context of our national security, we are prepared quite well only for those threats that are easily recognisable, namely, military and cyber threats and open disinformation. We are therefore constantly building our military capabilities and seeking for a more active role of NATO's military forces in our region. We are enhancing cyber-defence capabilities and we are learning how to prevent such threats in advance. This way, we resolutely prevent disinformation spread on Russian television. Despite all that, we are still ill-prepared for recognising and preventing Russia's hybrid political and energy warfare fought directly by employing Lithuanian political actors, media or social networks, which also spread pro-Kremlin disinformation. These processes are practically left unattended because we fail to mobilise necessary anti-hybrid defence capabilities into one unit . In 2015, Vladimir Putin set up a joint centre for hybrid warfare, led by the military and combining various hybrid forces capable of using media, economic, and political tools and dirty means in hybrid warfare against a given country and its political system. The joint centre has been established primarily to coordinate all the actions towards the major strategic goal, which is weakening and a potential collapse of the EU and NATO. In response to the growing threats of Russia's hybrid capabilities and the establishment of a hybrid centre in Russia, the Government of the United Kingdom has established a special war cabinet  in London. According to Marius Laurinavičius, a similar centre has been established by the Czech Republic. With a view to fighting hybrid threats, a dedicated Centre against Terrorism and Hybrid Threats has been opened in Prague under the Ministry of the Interior . In addition, Czech analytical centres directly funded or otherwise supported by the government are especially active. Lithuania also needs a similar anti-hybrid centre, which could combine security, political, economic, energy, cyber and political campaign analytical and preventive forces with a major task of helping Lithuania to fend off Kremlin's new hybrid warfare. 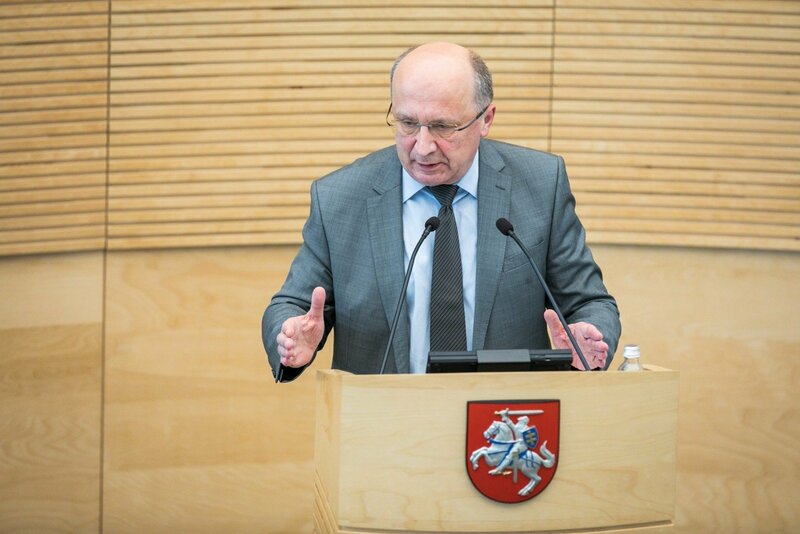 Marius Laurinavičius also refers to the lessons of the Czech security services to be learned by Lithuania. It is far too insufficient to name a threat. In the absence of an active and coordinated national response, the Kremlin might succeed in its goal . The experience Lithuania has gained is the very proof that the state is able to analyse threats but it is not properly equipped to fight them in a coordinated manner. The anti-hybrid centre in Lithuania could be established under the Ministry of National Defence alongside the already existing National Cyber Security Centre. The anti-hybrid centre could be authorised to protect the political system and the entire public space from a variety of hybrid threats. In cooperation with state security and other special services, the centre could preventively monitor emerging hybrid threats and look for ways to pre-empt them on time. The centre should also be responsible for efficient defence of democracy in Lithuania against unlegal financing of political parties or the spread of fake news. 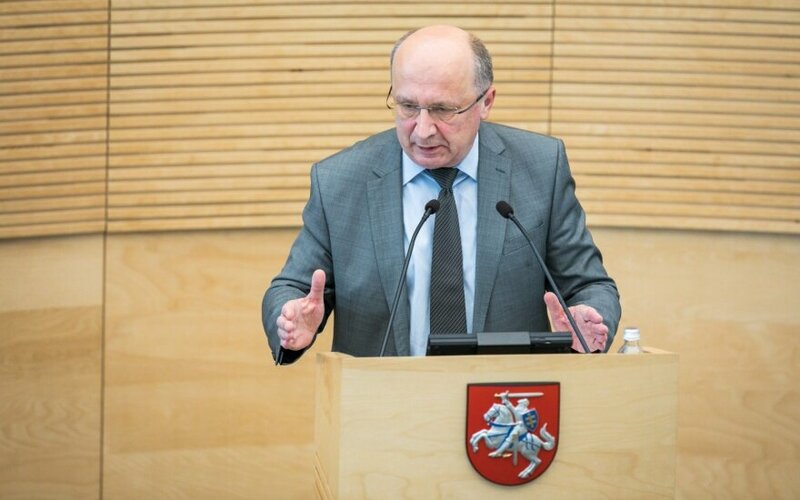 It should engage other institutions in Lithuania: Central Electoral Commission, State Security Department, Special Investigation Service and Financial Crime Investigation Service, and coordinate their activities, as well as adopt the most successful foreign experience. The centre should start its operation by the end of this year in order to protect, at least in part, the 2019 pre-election campaigns from hybrid warfare. In the context of today's situation, we must admit that the hybrid warfare capabilities of the Kremlin are much too great for one individual country like Lithuania to defend itself. A study of the Center for Strategic & International Studies (CSIS) titled Kremlin Playbook: Understanding Russian Influence in Central and Eastern Europe  published in 2016 offers recommendations for the US administration, NATO and EU leadership how to prevent the Kremlin from winning the hybrid political war in Central and Eastern Europe. The main recommendation is to mobilise necessary NATO and EU legal and administrative resources in a centralised manner in order to start the persecution of Kremlin's illegal money (or money earned from doing business with the Kremlin) that is used for various political projects in Central and Eastern Europe beneficial for the Kremlin. The authors of the study urge the US administration to employ the same methods and technologies for the persecution of Russian money as it applies for the persecution of illegal funds of ISIS terrorists. Through the available diplomatic channels, Lithuania should encourage the strongest NATO partners, the US in particular, to focus on the persecution of illegal Russian political money. On its own account, Lithuania should fundamentally enhance the control of funds that in one or another way influence political processes in Lithuania, as well as the persecution of illegal assets. Lithuania should particularly focus on the processes where unlimited business money is used at the initial stage of a new political project and uncontrollably invested in the development of a popular new brand, which is later turned into a new political project. In Finland in 2017, the EU and NATO set up the EU/NATO Centre of Excellence for Countering Hybrid Threats. It is a good beginning, but the Centre is more oriented towards accumulating and sharing experience rather than providing practical support for individual Western countries that suffer from hardly bearable hybrid attacks. Lithuania should seek to convince NATO into developing tangible anti-hybrid capabilities to help member countries and their anti-hybrid centres to fend off concreate hybrid threats. In her recent publication (9), Elisabeth Braw, a famous expert in the Atlantic Council, urges the establishment of NATO defence capabilities necessary for fighting Kremlin's information warfare. This is a good and an important initiative. However, giving broader powers to such a NATO unit should be considered so that the unit could help not only to fend off disinformation but also protect our political systems from the influence of illegal funds. The Criminal Code of the Republic of Lithuania should be amended by adding proper articles defining criminal liability for employing instruments of hybrid warfare to attempt an attack against the state of Lithuania and its democratic order. It is disrespectful to the state to have a political party with 24 million litas in illegal funds which attempts an attack against the Lithuanian democracy and is punished only for irregular bookkeeping. Regrettably, the Criminal Code defines only the criminal liability for the organisation of a conspiracy to carry out a coup d'état or for public incitement to infringe upon the sovereignty of the Republic of Lithuania by using violence. In other words, the Criminal Code has, until now, provided for the criminal liability for the so-called traditional hard threats against the state. However, there has been no criminal liability envisaged for the organisation of 'a coup d'état' in the minds of the people. The Lithuanian experience alone shows that nowadays much softer instruments compared to a physical coup d'état are being employed to attempt an attack against the sovereignty of the state. Hybrid instruments may be less easily detectible but they are equally more dangerous. Meanwhile, the criminal liability for their use is completely undefined. According to the abovementioned CSIS study titled The Kremlin Playbook: Understanding Russian Influence in Central and Eastern Europe , which was published back in 2016, the Kremlin explores more widely a new approach of hybrid warfare in Central and Eastern Europe, where local business leaders with deep business interests in Russia are throwing themselves into politics more actively or are encouraged to do so. In their annual public reports assessing the threats to national security, the State Security Department of Lithuania and the Second Investigation Department under the Ministry of National Defence have lately warned that the Lithuanian businesses in Russia are constantly on the FSB's radar, as the FSB tries to use the businesses to serve the purposes of the Kremlin's hybrid warfare. What is also obvious is that the Kremlin was most successful with the hybrid warfare waged against Lithuania where high-ranking Lithuanian politicians, their businesses or their generous supporters were involved in various business relations with Russia. That is why Lithuania must, first and foremost, 'contain' the threats arising from the relations of the kind. This can be done by establishing a legal requirement for all actors running for any political position, including associated persons, to declare the income gained from any business with Russia or the share of income from joint businesses with Russia. Failure to do so or failure to recuse oneself from making a decision connected to political or business relations with Russia should be regarded as grounds for initiating an impeachment procedure. One of Lithuania's most serious problems in the defence against potential hybrid attacks is the fact that there is no effective monitoring, supervision and control of financial flows in the Lithuanian political system and election campaigns as well as in the activities of their principal participants (hidden advertising; dissemination of fake-news on social networks; activities of political parties, movements, committees, big businesses (both Lithuanian and third party businesses) and the media). So far, the monitoring powers have only been concentrated in the hands of the Central Electoral Commission. However, over different time periods, the work in the field by the Central Electoral Commission has been characterised by ineffectiveness, sluggishness and a lack of transparency and clear standards. Political parties now find themselves in an increasingly more difficult situation, as they are forced to compete with political movements or electoral committees, which, prior to an official election campaign, can use funds, which are earmarked by big businesses and are completely outside the control of the state. What raises further doubt is the Commission's capacity to control a large share of the media in terms of their abusive financial activities, which are under lax control, or the information advantage the media gives in exchange for funds that political figures do not declare. It is equally obvious that Lithuania, much like the rest of Central Europe, has the kind of media (both traditional and one that functions on social networks) which openly declare their outlook that is contrary to the pro-Western stance of Lithuania. For instance, in the National Security Threat Assessment published at the beginning of 2016, the State Security Department and the Second Investigation Department under the Ministry of National Defence warned that pro-Russian organisations "gave major focus on disseminating pro-Russian propaganda on the Lithuanian internet. Most of this information was published via the websites ekspertai.eu, ldiena.lt, sauksmas.lt, revoliucija.org, slfrontas.lt, sarmatas.lt, versijos.lt and laisvaslaikrastis.lt." However, the financial activities of the Lithuanian websites, which disseminate pro-Russian propaganda are not monitored, supervised or controlled, even if it is suspected that their activities are financed by sources close to the Kremlin while being aware that such information resources are actively being operated in the Lithuanian political system, particularly in the pre-election campaigns. This is the consequence of an erroneous interpretation of the constitutional right to freedom of expression or freedom of information. Disinformation and hybrid information attacks funded by sources close to the Kremlin do not infer the freedom of expression or the freedom of information enshrined in the Constitution. While the citizens are entitled to be defended by the state, it is the obligation of the state to use effectively not only its armed forces to defend the territory of the country against anyone willing to occupy it, but also the special measures aimed at defending the hearts and minds of its people against anyone's attempts to 'occupy' them by employing various hybrid means, thus affecting their consciousness and forcing them to lose their determination to defend themselves. Seeing the Kremlin's effective attempts to influence the election campaigns in other countries and in the light of the Lithuanian experience gained in the Kremlin's hybrid warfare waged against Lithuania, it is imperative to immediately establish a joint group of responsible representatives of political parties, transparent media, civil activists and law enforcement who would look in more detail into valuable foreign practice and propose, as soon as possible, measures that would enable a far more effective monitoring of financial flows in the political system and elections. Lithuania should enhance, immediately and substantially, the control and supervision of the use of all funds which, in one way or another, affect the political processes in Lithuania as well as reinforce the prosecution for the use of illegal funds. Particular attention must be given to the processes where unlimited funds from businesses are used at the initial stage of a new political project and where the funds are invested, free of control, into the development of a new and popular political brand which, at a later stage, is turned into another political project, such as a political movement, electoral committee or political party. 1. Definition: co-branding in political campaigns or activities of political parties refers to the development of such an early, long-term and targeted co-brand, which at a later stage is used for advertising or other purposes in a political campaign or activities of a party. A co-brand of this type is usually developed in advance by using private funds or funds of a legal entity, which have not been accounted for and declared as funds intended for a political campaign or for activities of a political party. Development of a co-brand of this kind has to be characterised by political relevance, i.e. it has to be deliberately designed for the sake of using it, at a later stage, to achieve the aims of a political or election campaign. 2. Examples: Naisių vasara or Vieningas Kaunas are the co-brands that have recently been designed by investing, in a regular and targeted manner, considerable funds of private businesses (Agrokoncernas Group, Vičiūnai Group) or private persons (Ramūnas Karbauskis, Visvaldas Matijošaitis) to have such co-brands ready to be used, at a later stage, in the election campaign. The funds invested in the development of the co-brands of the kind, unlike the funds earmarked for the activities of a political party, are not accounted for or declared. Later on, such co-brands are being widely used in political or election campaigns. Personal brands, which can likewise be developed and financed, should also be deemed co-brands. 3. General ban: co-branding should be banned in political campaigns or activities of political parties. 4. Monitoring and recognition of the use of co-branding: the Central Electoral Commission should be entitled to have an obligation to conduct the monitoring of the use of co-branding in political and election campaigns as well as to deem cases where co-branding was used as illegal and apply sanctions provided for in the law. 5. Sanctions for using co-branding: should the Central Electoral Commission determine that private or legal person, as a participant of a political or election campaign, has been using co-branding for campaigning purposes, the participant of the campaign must, under the Commission's request, submit a declaration on the size and source of funds used for the development of the co-brand and for its long-term advertising campaign. Failure to submit the declaration should result in a ban on participation in the political or election campaign. Should the Central Electoral Commission establish that co-branding has been used in a political or election campaign, the person who, under the submitted declaration, has been deemed as the one who has funded the development of the co-brand must transfer a payment to the state budget in the amount equivalent to the funds used in designing the co-brand. The person taking part in a political or election campaign who has been deemed by the Central Electoral Commission as using a co-brand is required to include the funds of private or legal persons used in developing the co-brand into the account of the expenditure incurred as part of the political or election campaign. The funding of the kind is recognised as funds used for conducting a political or election campaign and is included in the overall limited amount of funds not to be exceeded in the election campaign. In Lithuania, dissemination of fake-news during pre-election campaigns has not yet been as widespread as in the US, the Czech Republic or elsewhere. It is therefore worthwhile to take early preventive measures. It should be noted that countries, such as France or Germany [10, 11], are currently considering or implementing very strict legislation to fight the dissemination of fake-news in the EU . Lithuania needs to draft and adopt, by the end of the year at the latest, a similar legal act to ensure that the 2019 election campaigns are at least partially protected from hybrid attacks. The world-renowned Rand Corporation has recently published its in-depth study titled Russian Social Media Influence. Understanding Russian Propaganda in Eastern Europe . The study was dedicated to examining in detail the way the Kremlin employs fake-news in Eastern Europe, the Baltic States included. The study has also presented some detailed recommendations on ways to strengthen the capacities of the countries to protect themselves from the cyber-attacks of the kind. The European Commission has lately been taking the initiative of coordinating the EU's efforts to fend itself from a surge of fake-news and disinformation. By the end of April 2018, the European Commission announced a flagship initiative dedicated to fighting disinformation, particularly on social networks . The Commission had previously announced a report on the same subject  by a high-level group of experts. Transparency and responsibility had been singled out as the underlying key principles in addressing the issue. Lithuania should demonstrate its utmost interest in having such common rules adopted across the whole European Union as soon as possible. In the meantime, Lithuania could become one of the leaders to design and test such rules. Democracy is a process which, unless defended and taken care of, is taken ill by 'the democratic erosion disease'. Lithuania suffers from quite a few symptoms of the disease, affecting the political system and democratic processes in the country, which can collectively be identified as severe cases of the democratic erosion disease. Participants and engaged citizens should trust the transparency and fairness of democratic processes. This is crucial for democracy. If the trust is shrinking and the people are becoming disappointed with the rules of democratic processes, the people can open more widely the doors to various hybrid attacks. Much like with basketball, beloved by Lithuanians, where the trust of the people in the final result of a match is guaranteed by their reliability on fair game rules enforced by a referee, the trust of the people in the final result of an election or the democratic processes in general is guaranteed not only by transparent and effective rules of the processes, but also by the confidence in the Central Electoral Commission, as if it were the main referee in a political match that is responsible for supervising enforcement of the rules. Recent cases have shown that the current Central Electoral Commission can hardly secure considerable public confidence in it. This has been determined by both personal qualities of the leadership of the Commission and the principles and traditions applied in the work of the Commission, which do not instil confidence. One of the reasons why the Commission cannot earn greater public trust is the fact that, under current conditions, it is institutionally ill-equipped to perform the functions it has been entrusted with by law and which the citizens interested in healthy democracy expect to be served. This, first and foremost, represents a challenge of protecting democracy from non-transparent and unfair finances. The activities and the current state of the Commission require a responsible assessment by all participants of the political system and urgent decisions on actions aimed at achieving substantial changes in the activities of the Commission and guaranteeing a greater and longer-lasting public confidence in it. Drafting of the strategy and responsibility for its effective and speedy implementation should exclusively be a matter of agreement between the political parties represented in the Parliament while consulting with the Government and the Office of the President. It would be difficult to expect that the Government alone would be capable of drafting or taking effective care of the implementation of a strategy of the kind. Therefore, the parliamentary parties that are genuinely concerned about Lithuania's effective protection from hybrid threats should immediately nominate their representatives to a special task force, which, based on the ideas outlined in this paper, would urgently start drafting both the general strategy and specific draft legislation to implement the strategy. This parliamentary group working on democracy protection at a later stage should be in charge of the process connected with the implementation of draft legislation or legal provisions as well as the monitoring of its results.